Growing up in San Francisco, evidence of climate change for me has been as close as a walk to the beach. Like most estuaries, San Francisco Bay is a very young geologic feature. Twenty thousand years ago there was no bay because Earth was in the grip of the last ice age, the Pleistocene Epoch, occurring from 110,000 to about 10,000 years ago. During that time, much of the planet’s water was frozen in glaciers that covered most of the northern continents. 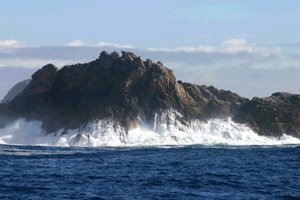 With less water to fill the oceans, sea level was nearly 400 feet lower than it is today and the Pacific coastline was more than 20 miles west, near the Farallon Islands. The Bay itself was dry land, with rivers running through the low-land areas on their course to the ocean. As the glaciers melted over millennia, ocean waters have risen and shorelines have crept back, engulfing land. 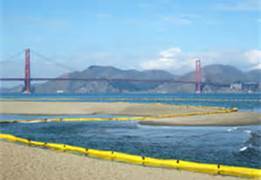 By 10,000 years ago the Pacific Ocean had spread inland through the gap in California’s outer Coast Ranges at what we today call the Golden Gate and seawater began to fill the Bay. For thousands of years, sea level rose rapidly — at nearly an inch a year, advancing the shoreline progressively inland as the glaciers melted. Several thousand years ago, the rate of the ocean’s rise slowed and sediments began to accumulate in the shallows faster than the sea could cover them. These sediments supported the expansion of tidal mudflats and marshes along the bay’s shores, creating a vast network of wetlands observed in the last couple of centuries, before modern civilization began to reshape the Sacramento-San Joaquin Delta estuary. Climate change is real and earth has been warming for more than 20,000 years. In California you can see its dramatic effects everywhere — San Francisco, Yosemite, the Delta, Mt. Shasta, Lake Tahoe. But, now the process of global warming is accelerating because there is far less ice to help cool the planet. These geophysical facts about Earth’s warm and cold cycles are replicated throughout the globe. There have been five distinct ice ages in Earth’s history. I’m just talking about the last one in my own backyard. And, that change is having a significant and measurable impact on California’s environment, according to a new state report that tracks 36 indicators of climate change and its effects. The indicators highlighted in the report show change is occurring throughout California, from the Pacific Coast to the Central Valley to the Sierra Nevada Mountains. Wildfires: The number of acres burned by wildfires has been increasing since 1950. The size, severity, duration and frequency of wildfires are greatly influenced by climate. The three largest fire years in California occurred in the last decade, and annual acreage burned since 2000 is almost twice that for the 1950-2000 period and the number of burned acres is steadily increasing. Water: Spring snowmelt has decreased, indicating warmer winter temperatures and more precipitation falling as rain rather than snow. Earlier and decreased runoff has been reducing water supplies, even when overall rainfall remains the same. This trend means less water available for a growing population, agriculture and the environment. 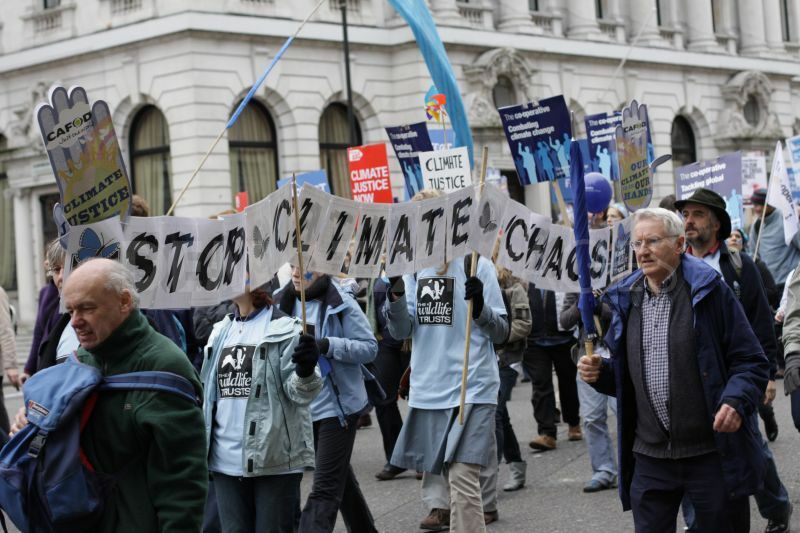 What concerns me is the misguided talk about climate change – Is it real? Who are the deniers? Who are the fools? Who is right? Who isn’t doing enough to stop it? Who drives a Prius, who drives behemoth Detroit iron? Climate change is a real, natural phenomenon — it is larger and more relentless than our experience of the past 200 years. Humans did not create it and do not control it. The planet has been in a warming cycle for at least 20,000 years. We need to get some perspective on what is man-made and needs fixing and what is natural. 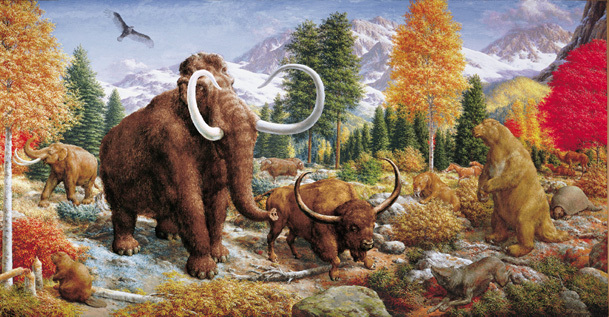 Currently, we are in a warm interglacial period that scientists say began about 10,000 years ago. The last period of glaciation, often called informally the “Ice Age,” peaked about 20,000 years ago and then Earth began to rapidly warm. At that time, the world was on average about 10°F (5°C) colder than today, and in parts of California, as much as 40°F (22°C) colder. The simplified chart, above, from the Utah Geological Survey shows about when the five major ice ages occurred in the past 2.4 billion years of Earth’s history. Modified from several sources including Dynamical Paleoclimatologym, it offers a generalized view of the history of global climate change. 2002, by Barry Saltzman, Yale professor of geology and geophysics and a pioneer in the theory of weather and climate. Saltzman died Feb. 5. Although Saltzman’s climate change data indicates global warming occurs cyclically over a mind-boggling span of time, we’ve come to focus on current emissions during the past 50 years as the root of the problem. The theory seems to be — if we slow emissions the planet will not warm. While there are extremely good reasons to control hazardous emissions from cars, trucks, trains and ships, as well as power production and manufacturing, these efforts, based on 2.5 billion years of climate history, will not slow the natural process of warming that has been going on for thousands of years. However, efforts to improve and protect local air quality and the environment are essential to our immediate health and economy. But, carbon and other emissions alone are not causing the planet to warm. Earth is going through a natural warming cycle that is accelerating and that’s scary because, honestly, we aren’t in charge of it. We can only creatively adapt or perish. What bothers me is the senseless debate about climate change – needless taking of sides, public confusion, finger pointing, blaming those who have nothing to do with it, spending money stupidly, creating worthless government regulations, lining the pockets of self-appointed enviro-capitalists who collect donations from well-meaning folks to sue everybody’s socks off, prompting “nannycrats” and “scardicans” to pontificate on subjects they know little about and misuse their legislative majesty. In the process, they’re scaring the be jabbers out of everybody. What annoys me is the lack of perspective in these discussions and the short-sighted responses to change. Makes me do a low sizzle. Here’s where I stand: We all need to conserve resources, protect the environment and understand the natural changes taking place around us so we can respond appropriately. We don’t need to spend billions in taxpayer dollars foolishly or take to the streets protesting inevitable, natural processes that we cannot stop. We need to understand the larger forces at work in our world and find innovative ways to respond and adapt. If you’ve got some ideas about how to help increase our understanding and want to talk about it, you’ll find me in the garden. And, don’t be afraid to stop by and speak your mind in the comments section below. We need honest, informed discussion. If you’re too busy to comment, please share this post with others so they can contribute. You’ll find this post on my Facebook home page and on my Twitter feed #kcamp300. This is a subject we’ve got to place in a larger context, find better footing and talk about it. Sources: San Francisco State University Department of Earth and Climate Sciences; Geographical Journal, 1979; National Center for Atmospheric Research, Boulder CO; National Park Service; California Environmental Protection Agency, United Nations Report on Climate Change, July 2013, note conclusions in the report rely on phenomena observed in the past 100 years, not the last 2.4 billion years.